Five things your kid will get from a summer at Camp Fletcher! At Camp Fletcher, we know you want the absolute best for your kid, and we do, too! We know camp can be expensive and even a little scary for kids who have never been before (and maybe for the parents, too!). When you send your kids to camp, whether it’s one of our day camp or resident camp programs, we know you want to be sure that they will be safe and that they’ll be able to grow. We know the difference a summer at Camp Fletcher can make, because we watch as our campers transform each and every year! When you send your kids to camp, they’re not just getting a babysitter. Of course their safety is our number one concern, but they will gain so much from their time at camp. Independence: The kids at Camp Fletcher gain independence every single day. Yes, we have the best counselors and staff watching out for them, but they also learn to be responsible for themselves and their actions. We teach campers about outdoor safety so they can learn to make good choices. They’ll learn to do things for themselves and try new things every single day. Community: Our campers gain an entire camp family when they spend their summer with us! They’ll spend their days with other great kids and learn from the best role models around. Our camp family is strong, and we know your kids will make lasting friendships when they come to Camp Fletcher. Opportunity: Our campers are presented with brand new opportunities every single day. 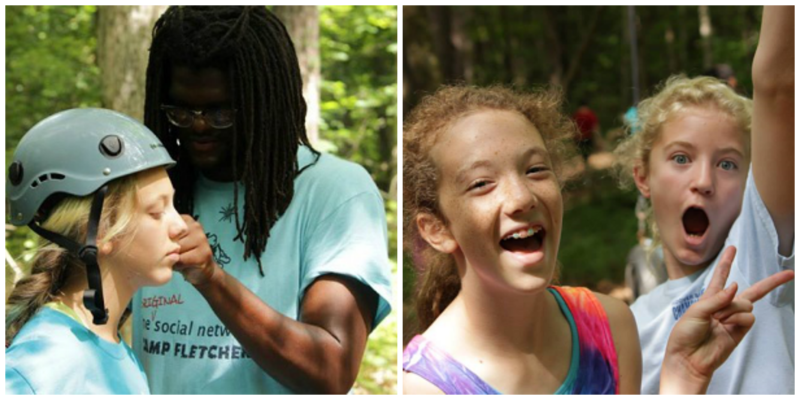 From hiking to canoeing to archery, our campers are encouraged to try things they never thought they would do! Freedom: When kids come to Camp Fletcher, they will have freedom to explore and grow in ways they might never have imagined! Our campers spend most of their day outside, and they’re able to play and engage with nature in a unique way. Getting dirty and having adventures are daily activities at camp. Confidence: It’s great to watch our campers grow more and more confident with every day they spend at Camp Fletcher. We encourage our campers to come out of their shell and be themselves. We know each and every kid that comes to camp is unique, and we want them to learn to express themselves and their personalities! We know the importance of a summer at Camp Fletcher because we watch the difference it makes in the lives of our campers every single year! Your kids will gain so much when they spend their summers with us, and we can’t wait to welcome you and your family to our camp community. For more information about our summer camp programs, visit us online and register today! Previous Article Junk In Your Trunk! Next Article Counselor Spotlight: Meet Jacque!